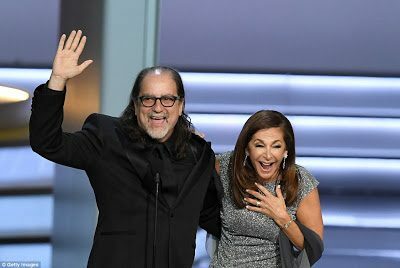 Glenn Weiss completely stole the show at the Emmy Awards when he proposed to his girlfriend in the middle of his acceptance speech. 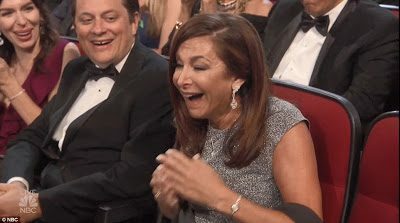 The 57-year-old director of the Oscars took to the stage to receive his award for Directing for a Variety Special. In his emotional speech, he said his win was bittersweet because his mother passed away two weeks earlier, adding that his mom had loved his girlfriend, Jan Svendsen, who was in the audience. ‘Jan, you are the sunshine in my life, and mom was right, don’t ever let go of your sunshine,’ the director said. 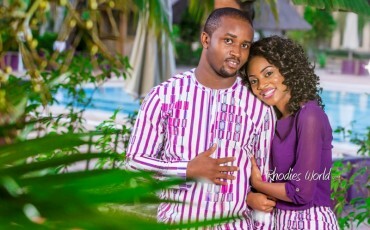 The camera quickly panned to his stunned girlfriend who looked on in complete shock over the surprise proposal. Weiss got a standing ovation and huge cheers from the crowd as Svendsen, who looked stunning in a silver-grey Sachin & Babi gown, made her way to the stage. ‘Hey, I didn’t ask yet!’ he joked. He pulled out a ring, telling everyone that this was the ring his father and put on his mother’s finger 65 years ago. ‘And to my sister and brothers, I didn’t swipe it dad knows I have it!’ he laughed. ‘Thank you to the academy!’ a clearly delighted Weiss said as he and his new fiance left the stage to a standing ovation. 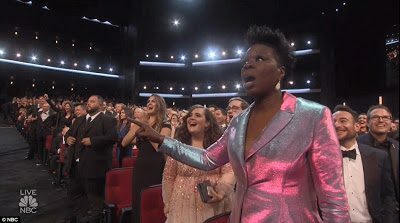 Many celebrities in the crowd looked delighted, including Leslie Jones, Benedict Cumberbatch, and Betty Gilpin who appeared happily stunned as they have a standing ovation. 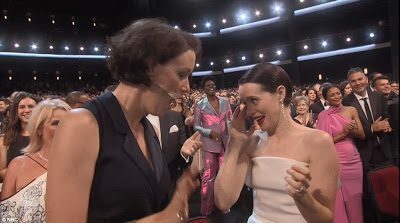 Claire Foy even appeared to wipe away a tear after the touching moment. Weiss, an American producer and director of television and live events, has won 11 Emmy Awards and 6 Directors Guild of America awards, for shows including Tony Awards, Kennedy Center Honors, and Academy Awards.